Westport Yachts debuted two new yachts at the Fort Lauderdale boat show, including an updated version of its 40m and a new 34m motor yacht. The 34m Westport 112 features an on-deck master layout, part of a fairly recent update to this very popular series from Westport – the yard has built more than 50 of them. Westport reports that the new style, designed in-house, has proven quite popular at the Fort Lauderdale boat show. The venerable series superyacht builder also notes quite a bit of interest in its 50m at the Fort Lauderdale boat show. 'The 50m continues to be attractive to clients who are moving up in size either through Westport or from outside the brand,' Masciarotte says. 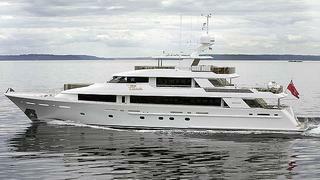 Stay tuned to see if Westport takes the leap to building a new larger flagship yacht and for Westport Yachts sales news.